Mercedes-Benz has gone through something of a makeover in recent years. For years, the premium marque got associated with older people that wanted executive models. The German firm is desperate to appeal to younger audiences. Their current models are more appealing to such markets nowadays. 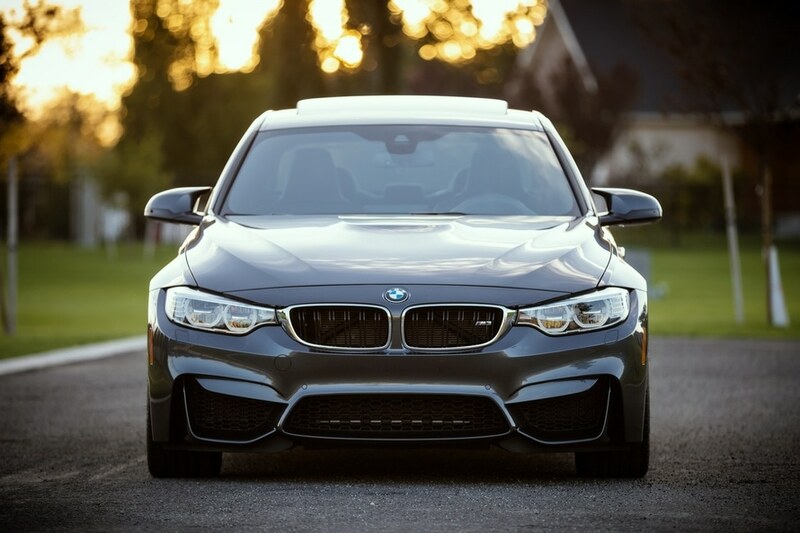 When you buy a high-performance saloon car, one thing’s for certain. You will want to know how powerful the car is on the road! 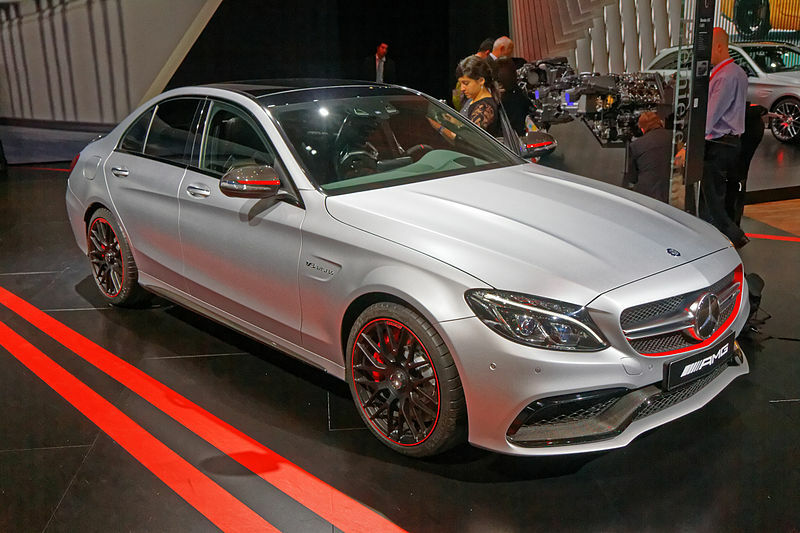 The new Mercedes-AMG C 63 doesn’t disappoint. As standard, it comes with a 4.0-litre V8 bi-turbo engine. It’ll get you from zero to 60mph in 4.0 seconds flat. And it can offer a top speed of 155 mph. This is electronically limited, of course. If you de-restricted it, you could get closer to 200 mph! The engine also boasts peak power of 476 brake horsepower. The thing about AMG models is they look subtle and blend in well with any environment. Some car makers prefer to make their performance models stick out like a sore thumb. That isn’t the case with the C 63 Saloon. Take a look at https://www.mercedes-benz.inchcape.co.uk to see what I mean. There is no outlandish styling. Just subtle styling that will surprise anyone when you put the pedal to the metal! I’m a big fan of sleepers, so I’m probably biased when I say I love the styling on the C 63 Saloon! When you buy a high-performance car, little effort gets made to make it an eco-friendly model. Sure, you could buy models like the BMW i8, for example. But, making a thirsty V8 greener is akin to getting blood out of a stone! Somehow, the engineering team at Mercedes-AMG have managed to do that! According to the car maker, the C 63 Saloon’s V8 bi-turbo engine boasts CO2 emissions of 192 g/km. That’s also good news for people that loathe having to pay high car tax amounts. Most people are indifferent to the styling of a Mercedes-Benz saloon. The C 63 AMG version looks quite appealing and dynamic. Take its front-end, for example. It comes with an AMG-specific front grille and LED headlights. The front apron also sets it off well and makes it looks mean without being outlandish. The car sits on 18-inch alloy wheels, although you can upgrade to 19s if you wish. With its chiselled lines and AMG side skirts, there’s no denying this is a sporty C 63! 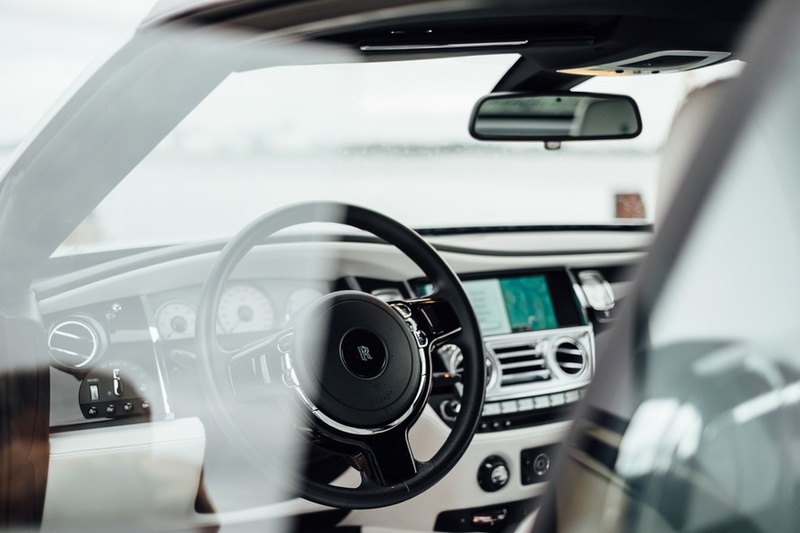 Sit inside the interior of a Mercedes-AMG C 63 Saloon and you’ll soon realise one thing. 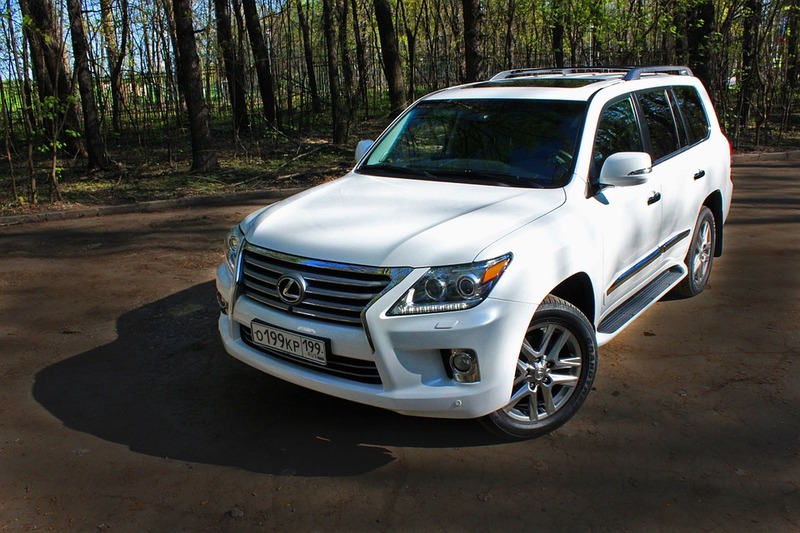 The cabin of this car is so comfortable; you don’t want to leave it! As standard, the model comes with AMG sports seats covered in Nappa leather. The rear seats are quite practical and offer a split folding 40:20:40 design. Meanwhile, the ambient lighting offers five dimming levels with three different colours! Now you don’t have to get into your car at night and get blinded by the lights. Nor do you need to feel disappointed by the lacklustre illumination. When you buy a car these days, it’s likely that you’ll see more automatic models offered than manuals. That’s the case even in Europe where people traditionally bought manual cars in the past. There’s a reason for that fact: modern automatics are more efficient than manuals. You’ll notice that the auto versions of most cars use less fuel yet offer the same power output from the engine. The SPEEDSHIFT automatic in the C 63 Saloon is no different. It’s a seven-speed unit that offers various driving “modes” to suit your needs. It doesn’t matter if you’re driving on the road or a race track. You’ll find a transmission mode that is best for the driving conditions. It goes without saying that you need to keep your eyes on the road when you’re driving. But, if you’ve parked up somewhere and are relaxing for a few minutes, you might want to lie back in your seat. 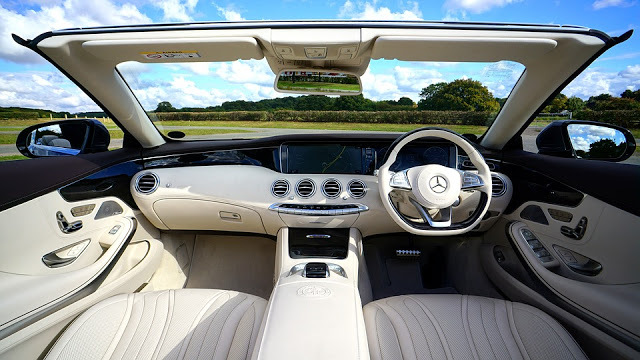 One optional extra on the Mercedes-AMG 6 63 Saloon is the electric panoramic sunroof. Even your rear seat passengers can enjoy a direct view of the sky with it. As you might expect, the Mercedes-AMG C 63 is rather packed full of technology. One notable example is the “COMAND Online” system. In a nutshell, it allows your Bluetooth-enabled smartphone to link up with the car. You can then stream music, make and receive calls and even go online using COMAND Online. What’s more, it also offers an innovative satellite navigation system. It’s also linked to a DVD Player and hard drive. In many respects, it’s like having a PC in your car! You might think that an AMG will cost a small fortune to maintain and repair. But, it might shock you to learn the costs are quite reasonable! Sure, it’s not as cheap to run as a Ford Fiesta, for example. But, considering this is a high-performance model, the maintenance costs are low. I’d recommend entrusting the maintenance of this car only with skilled AMG technicians. You’ll also find some third-party specialists around. Just don’t let anyone else touch your car! Audi has launched some impressive cars over the years. There is one model that you seldom see motoring websites talk much about. It’s a car that a lot of people secretly long for! The car in question is the Audi S8. It’s one of those models that deserves more than a mention from the motoring fraternity. Maybe they think people are only interested in sports cars? I don’t know. 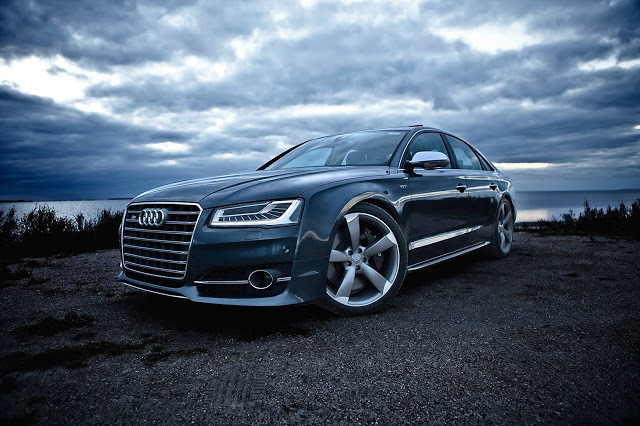 But, today, I am going to dedicate a blog post to the mighty Audi S8. Undoubtedly you are a car enthusiast just like me. And you’ll know about the model I am talking about. How much do you know about the Audi S8? And why does it have to be a “dirty little secret” among car fans? Let’s remind ourselves of why we wish to have the S8 in our performance car collection. People with almost limitless bank balances often buy cars like Range Rovers and Ferrari’s. Don’t get me wrong; there’s nothing bad about those particular vehicles. It’s just that they aren’t to everyone’s tastes. If money’s no object, only the discerning motorist will opt for an Audi S8. It’s a somewhat exclusive car that you seldom see on the road. And that’s one of the big appeals to us, of course. The Audi S8 might be a large saloon and rather heavy. But, that doesn’t mean it can’t pounce on its prey like a lion! Audi has chosen to use the brilliant 4.0-litre TFSI V8 with an eight-speed automatic box. Its beating heart is a twin-turbo monster that delivers an impressive 512 brake horsepower. Put your foot down in this car, and you’ll hit 60 mph in a mere 4.1 seconds. This is supercar territory! Of course, supercars come with a high price tag! The bad news is an Audi S8 isn’t that much cheaper than one. Still, on that subject, the current generation has been in production since 2012. That means you’ll find some used cars for sale so you can save some cash on the purchase price. The only downside is that fuel economy is pretty dire at 29 MPG combined. But that’s probably why there’s a 90-litre fuel tank! Still, if you wanted frugality, you should go and buy something like a Toyota Prius instead. There’s no manual transmission option with the S8. Instead, you’ve got the eight-speed dual-clutch DSG. As you may well know, it’s a Tiptronic unit rather than a standard automatic. Most high-performance cars these days come with Tiptronic gearboxes. There’s nothing unusual here with the Audi S8. Connected to the drivetrain is the famed Quattro 4×4 system. It works well on the Audi S8 and is excellent even in wet weather. This is not a car that will surprise you at speed. If you’ve got the cash available and the driveway space, why not! You get a lot of car for your money. And, despite its premium nature, it doesn’t cost a fortune to maintain. We all dream of parking a brand new luxury car on the driveway. We’d love to show off the new Mercedes badge or show up to the golf course in a new Jaguar. Unfortunately, these cars are usually well out reach for the average buyer. Their price tags race into the hundreds of thousands, and even the most generous finance plan won’t cover it. When this is the case, many buyers start to glance towards the used market. A brand new model may be out of your price range, but what about the second-hand version? For many buyers, this is the only way to get your hands on your dream car. We wholeheartedly recommend browsing the used market. We’ve picked up some fantastic bargains ourselves, including a stunning Mercedes at motorlinedirect.co.uk. However, it’s not all plain sailing on the used market. Buyers are easily overcome by the luxury badge, and forget to check the condition. It might have a low price tag, but luxury cars are seriously expensive to maintain and repair. By all means, buy a used luxury car, but avoid the following pitfalls at all costs. Gathering knowledge is the single most important thing you can do when buying a car. We can’t stress this enough. It’s even more important when it comes to luxury cars. Why? Because, every year or era has a different value when it comes to luxury and classic motors. As a buyer, you need to know why a 1961 Jaguar E-Type is worth more than a 1974 Jaguar E-Type. When buying luxury cars, knowledge is power. Make sure you know how to spot a bargain, and understand what you’re paying for. We often see luxury car owners blinded by the status symbol and badge associated with a car. Yes, the car of your dreams may have the coveted Mercedes badge. But, that doesn’t make it exempt from breakdown, repair, or faults. A super cheap Merc is not necessarily a bargain; it could simply mean it’s a death-trap! Don’t trust the badge. Use your instincts, and check the car thoroughly. We’ll show you a little more about that in the next section. Just remember, you’re looking for more than just a badge. There’s no point buying a Jaguar if it spends half the year in the mechanic’s shop. As a member of multiple classic car clubs and organisations, we hear a lot of horror stories. The most common story on the grapevine involves blind-buying on the internet. 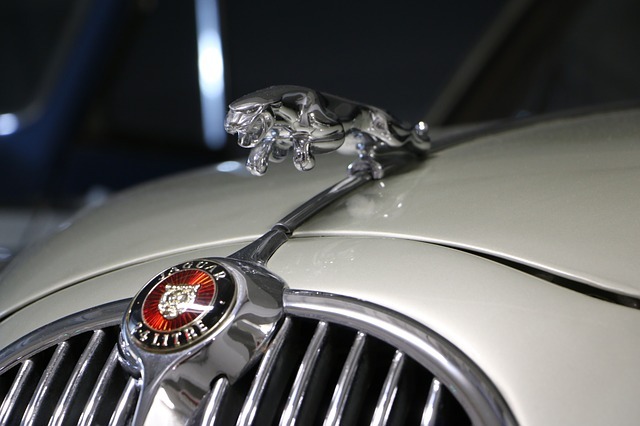 Buyers find a bargain classic or luxury car online, and they make an impulse purchase. We’ve seen this happen at car auctions too. They’ve been searching for a specific car for years, and they finally find it at a bargain price. Of course, it arrives in a mess, costing the buyer a fortune to restore to road-legal status. Don’t make this mistake. Always test drive the prospective car before buying. Follow this advice, and you’ll make a sensible investment. Follow your heart, but listen to your head too!